What Dental Devices Should be Under Your Tree? Have you thought about asking for or gifting dental devices for the holidays? With so many dental care products available, it can be difficult to know where to begin. At Dakota Dental, we have plenty of ideas for dental care gifts. Feel free to steal some or all of our ideas and give the gift of a bright smile this season! 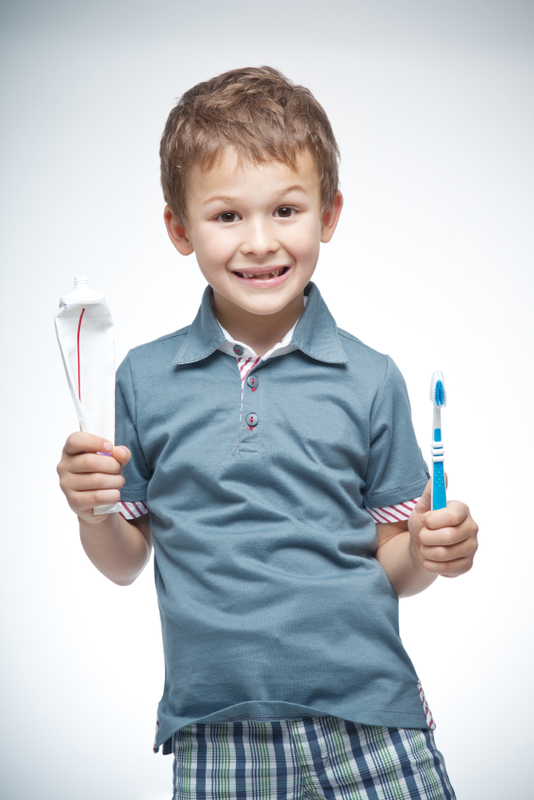 For young children, giving a tooth brushing kit is a great idea. Include soft-bristled kid-friendly brushes, floss, and toothpaste with fluoride. Also, be sure to include a two-minute timer so kids can know exactly how tong to brush those little pearly whites. For teens and adults, preventive dental care supplies like toothbrushes, mouth rinses, and floss make perfect presents. But why not kick it up a notch with a powered toothbrush? Or, if your teen has braces, consider a water pick to make it easier to release trapped food. One of the most popular dental care items that people request is a tooth-whitening kit. If you look through the oral health section in any department store, you will find a full spectrum of at-home options for white teeth. However, non-prescription teeth bleaching treatments are unregulated by the federal government, and there is no guarantee that these over-the-counter whiteners will work. To get an effective whitener, it is best to invest in professional teeth whitening services like those offered at Dakota Dental. Our tested methods allow us to effectively whiten your teeth while monitoring any potential adverse effects. Further, Dakota Dental’s tooth whitening services work much faster than any product available at a pharmacy or department store. When planning your gifts this year, contact Dakota Dental to find out what our Apple Valley dentists recommend placing under your Christmas tree. Whether someone on your list wants their two front teeth or is dreaming of that perfect smile, Dakota Dental can help you check oral health items off your gift list.